Windows 10 needs an administrator. Here's how to become one. Every computer has a user who is the ultimate boss, called the administrator. Forgetting the administrator's Windows 10 password can be a big problem. Here's what you need to know about your Windows 10 administrator password, and what to do if you lose it. What Is a Windows 10 Administrator? An administrator is really just the person in charge of a computer, similar to previous versions of Windows. Any Windows 10 device will let you create Administrator accounts and Standard accounts. Standard accounts allow users to make use of the device and its software without materially changing it, while Administrator accounts will let you make potentially big changes to your computer and how it functions. For a personal device, it's usually the person who set up the computer who receives an administrator account. For a business device, this is often someone in the IT department or the head of a department the computer belongs to, depending on your company's organizational design. If someone in a Standard account tries to do something they're not explicitly allowed to do, they're either blocked from doing so completely or required to ask for the administrator password, depending on the task. If you log into your computer using an email address, that means you're using a Microsoft account. If you use Skype, Hotmail, or any other Microsoft web service and use the same email address as your username, then your password for those services will likely unlock your computer as well. The issue of a “lost” administrator password most comes up when you're working with second-hand devices. If you're buying a device second-hand, make sure you're given administrator access before you accept it. To determine if you're an administrator, either press the Windows Key or select the Windows icon to open the Start menu, then select the gear icon to open the Settings. Underneath your name and email, it'll says either Administrator or Standard. If you share a computer with a spouse or a family member, it's a good idea for both of you to have Administrator status. Even if you don't share computers, you might consider giving each other accounts on your devices to make access easier, without sharing passwords. Can I Retrieve Someone Else's Windows 10 Administrator Password? It's possible, at least in theory, to obtain someone else's Windows 10 Administrator password. Third-party password recovery software can find this password, provided you have a Standard account on the device and the consent of the administrator. Third-party software is not perfect and may put your computer at risk. Furthermore, remember retrieving a password without the knowledge of the password holder is likely a violation of computer crime statutes. Do I Need a Windows 10 Administrator Password? If you'd prefer not to have an administrator password at all, you can change this. From the Accounts menu, select Sign-in options and you can choose to use a PIN to log into your account, or a picture password where you draw three gestures over a photo of your choice. If your computer rarely leaves your home, or you don't use it to store any personal information, these simpler sign-in options may be better suited to your needs. If you've created a password reset disk, you can use that to reset your Administrator password. Simply connect the device and follow the prompts. If you log into your computer with a Microsoft Account, you cannot create a password reset disk. Take a few guesses. While it's not necessarily great password security to use the same words and ideas to generate personal passwords, we all do it. If there's a common personal password you use on your devices, try it out and see if it works. Reset your Windows 10 password. From the lock/home screen of any personal Windows 10 device, select Forgot Password?. You'll then be asked for the answers to some security questions or other verification steps, such as being texted a verification code to your phone. If you have a Standard account, you can request whoever set up the computer to grant you Administrator privileges. This can be done in the settings. 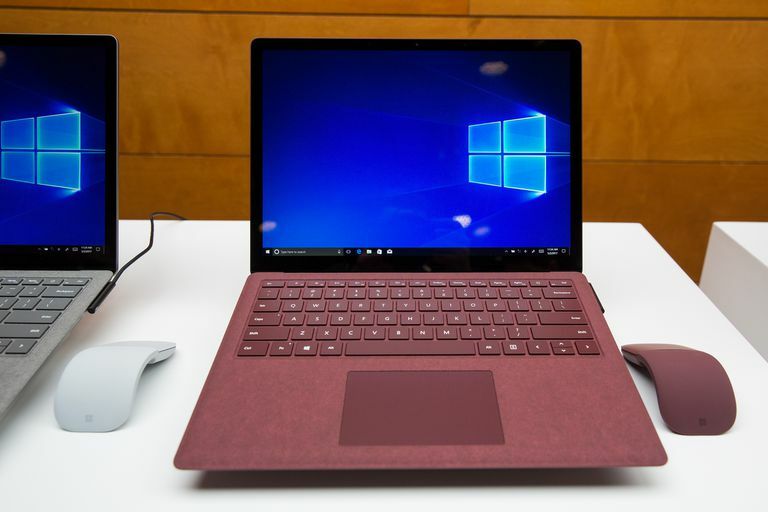 If the person who set up the computer isn't reachable, such as if you bought a device second-hand, you can also install a “fresh” version of Windows 10, which will allow you to make yourself the administrator during setup. Reinstalling Windows 10 will wipe the device and any data contained on it.